Everyone with an RV can benefit from a cell booster. It’s simple to install and gives up to 8 people in your RV good, strong cell service even when the towers are too far away for most phones. That means no more worries about the kids’ streaming movies stopping just because you take a tour through some unexplored country. It means your spouse won’t miss an important email while you’re driving, and you’ll all be safe if you need to pull over to make an emergency call. But if you put in that booster, will the cars around you simply steal the signal, leaving you out in the cold? Not likely. The 45dB max power allowed by law for a cell booster in a vehicle means the signal won’t travel very far outside the RV. While the fiberglass walls of your RV won’t stop the signal from traveling out, it won’t matter. The signal just won’t go that far. 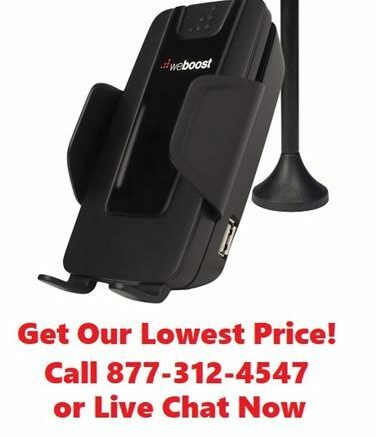 So ok, say you’re in bumper-to-bumper traffic and the person next to you could legitimately benefit from your booster. The big question is, why should you worry? If everyone in the vehicle is getting a nice strong signal and someone else is temporarily mooching, why does that matter? It doesn’t hurt the booster any and it’s not worth worrying about for the very few times it actually happens.